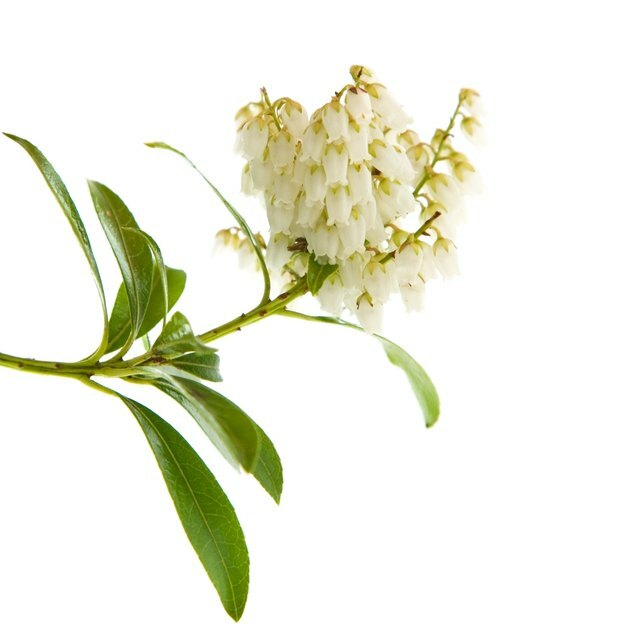 Flushes of darkly shaded evergreen leaves and prominent sprays of delicate, drooping flowers are the hallmark of Japanese andromeda (Pieris japonica). This decorative shrub shares a proclivity with other shrubs from the same family for moist soils rich in organic matter. Japanese andromeda flourishes in partially shaded areas that protect it from the desiccating effects of the sun and wind. This shrub is adapted to U.S. Department of Agriculture plant hardiness zones 4b to 8. Japanese andromeda's flowers come in many colors. Check the water content of the soil around your Japanese andromeda weekly during the spring and fall by inserting a finger knuckle deep into the soil. If the soil feels dry, water the soil around the plant until the soil is thoroughly wet but not flooded. Check your Japanese andromeda more frequently during the summer and other dry periods to ensure the soil never dries completely. Lace bugs lay several generations of eggs annually. Fertilize your Japanese andromeda shortly before it blooms in early spring and after it finishes blooming in midsummer. Add 1 tablespoon of fertilizer to a 1-gallon watering can and fill it with water. Spread the mixture evenly over the soil around the shrub. Avoid direct contact between the fertilizer and the shrub's foliage. Check Japanese andromeda for signs of lace bug infestation on a regular basis. These translucent pests measure one-eighth of an inch and are usually found on the underside of Japanese andromeda's leaves. Treat severe infestations with a pre-mixed sprayable insecticidal soap. Thoroughly coat all the foliage to ensure these pests come in direct contact with the insecticide. Repeat the treatment weekly, until the insects are brought under control. Pour rubbing alcohol into a plastic container and dip the blades of your pruning shears in the alcohol. Remove the blades from the alcohol and allow them to air-dry. Cut spent flowers from the shrub after they begin to wilt, clipping the stem just below the petals. Pruning spent flowers prevents fruit from developing, increasing the number of flowers the shrub produces the following season and removing litter from the yard. Watch the shrub for signs of phytophthora root rot, including dropping leaves, dying branches and brittle roots with a red tint. 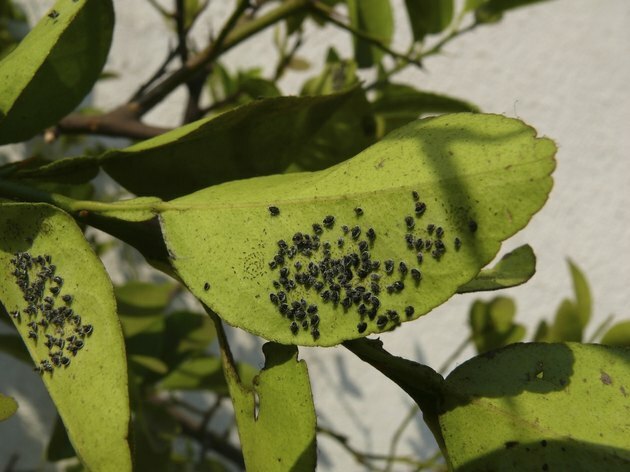 Shrubs that are showing outward signs of damage are usually untreatable and should be removed and destroyed to prevent the fungus from spreading. Avoid soaking the soil with water and reduce irrigation during periods of heavy rain to discourage the formation of this disease. Redirect runoff from gutters and ditches away from the shrub to limit excess moisture in the soil.